Umm Reem has a bachelors degree in Islamic Studies from American Open University. She has been actively involved with the Muslim women of her community spiritually counseling with marital and mother-daughter issues and hosted several Islamic lectures and weekly halaqas in different communities, including special workshops regarding parenting and issues related to women. Hena is a mother of 4 and the principal of her masjid's weekend school. She is also the editor in chief of MuslimMatters. In her other life, she was a television news reporter and producer for CNBC Asia. She also founded and ran the Road to Jannah summer program at her masjid. What will be covered in this webinar? Is this really a Muslim problem? Assalamu Alaikum....is this free ?? so whn i want to register why its showing i have to buy tickets. how i can register ?? JazakAllahu Khairan. 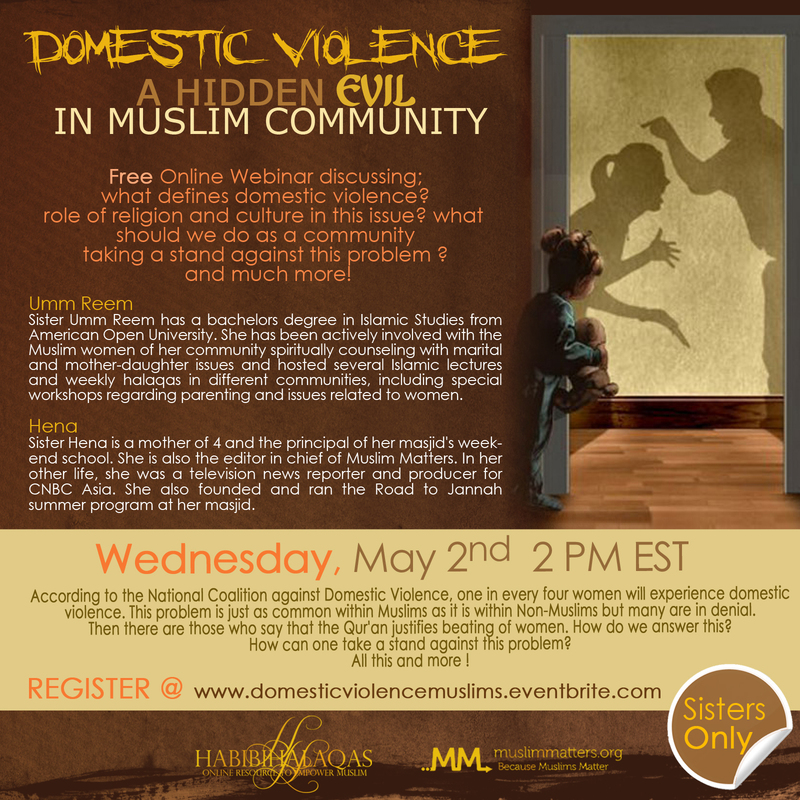 Assalamu Alaikum, I registered for this webinar..but I have no idea how to "attend" this tomorrow. Help? I believe you get a confirmation email and it gives you a link to where the webinar is. InshAllah you get this in time and it works. I got the email but I am pending confirmation for the google group! :( help!! 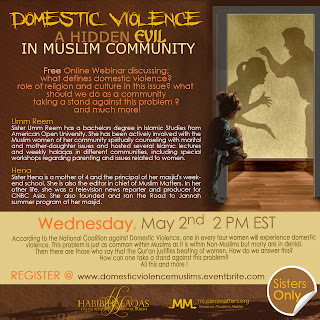 Assalamalikum.. i am unable to get into the webinar.. i got the confirmation then wt to do next?? I missed the webinar and can't find the recording. Please help. will the recording be posted soon?